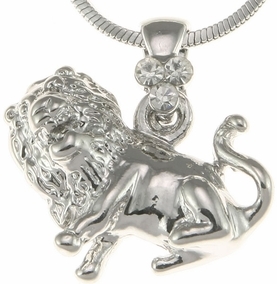 Leo Pendant . Leo Pendant measures 3/4" X 1/2". Leo is the 5th astrological sign of the Zodiac. In astrology, Leo is considered to be a "masculine", positive (extrovert) sign. It is also considered a fire sign and is one of four fixed signs. Leo is ruled by the Sun. being the fifth sign of the zodiac, Leo has been associated with the astrological fifth house. Genuine Naomi Jewelry pendant. Comes with a chain. Shipped with love and care. Comes in a beautiful gift box.